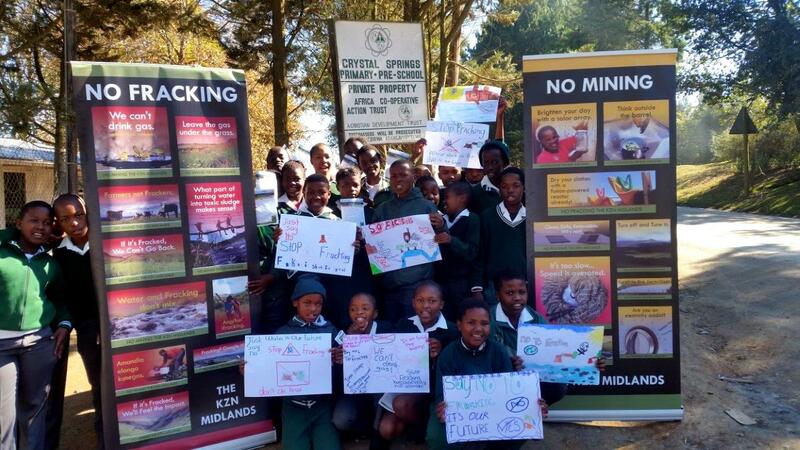 “I have never heard of the possibility of fracking happening in KZN.” The refrain was often the same in schools across the Midlands that participated in the Midlands Conservancies Forum (MCF) Fracking Awareness Campaign, funded by Global Green Grants Fund. 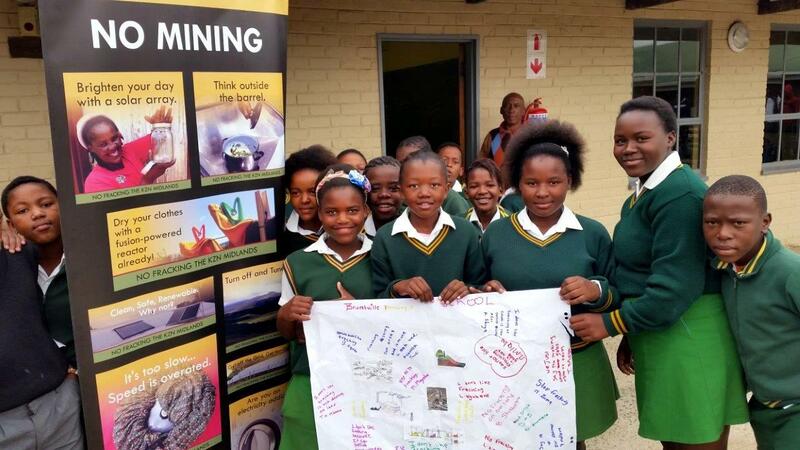 Dabulamanzi pupils were keen to learn more about the issues associated with fracking. 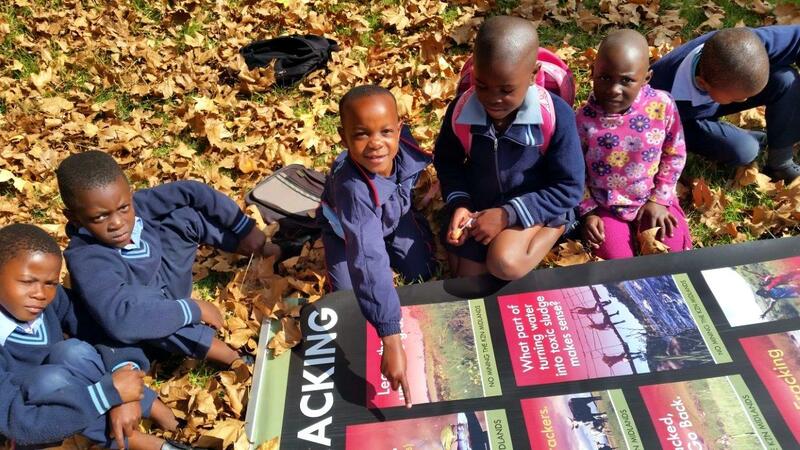 A number of technical cooperation permits have been issued in the Midlands and Drakensberg foothills, which give the holders rights to research the area with a view to fracking. 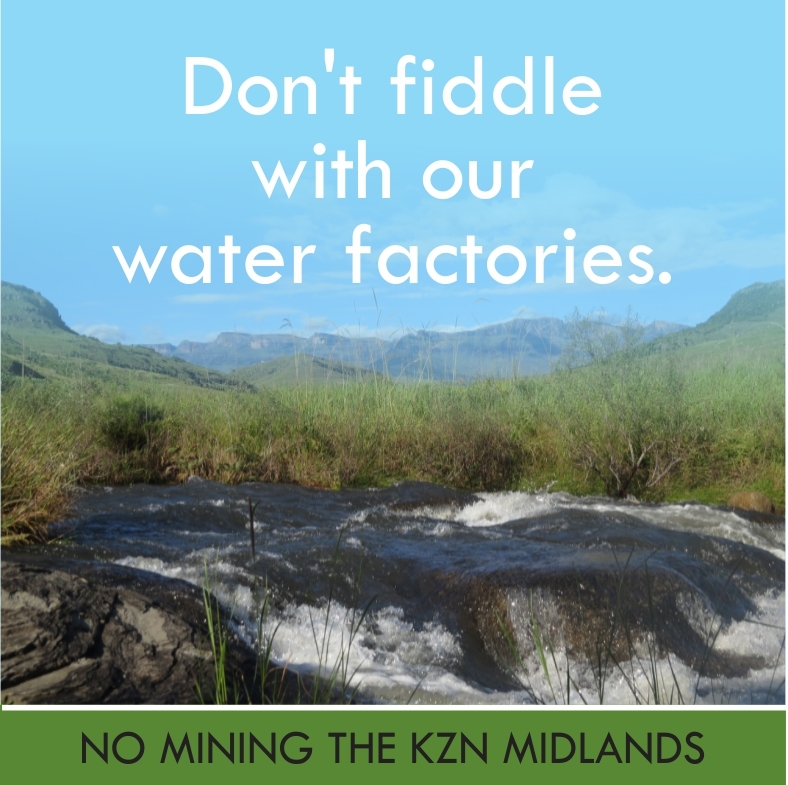 The role of this area as the ‘water factory’ of KwaZulu-Natal cannot be underestimated. It is vitally important to protect these areas which sustain the flow of clean water, supporting the lives and livelihoods of nearly 6 million people downstream. 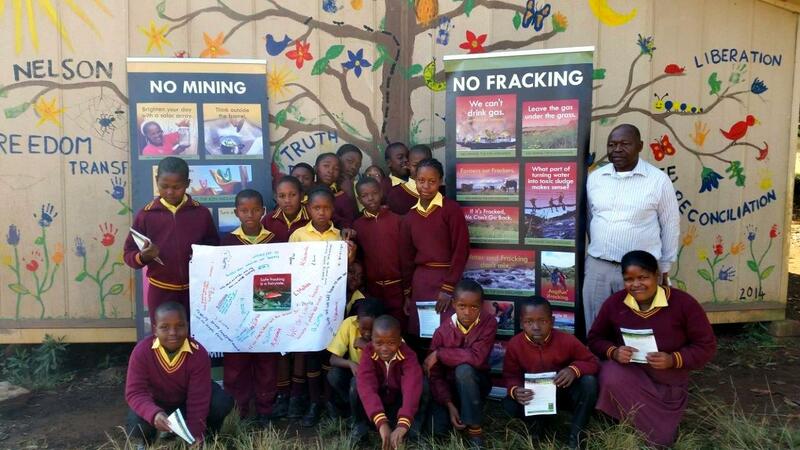 Younger learners listened to the ‘The Great Fracking Indaba’ to introduce the concept and illustrate some of the problems associated with the fracking process – before arranging picture cards, which illustrated the story, in the correct sequence. 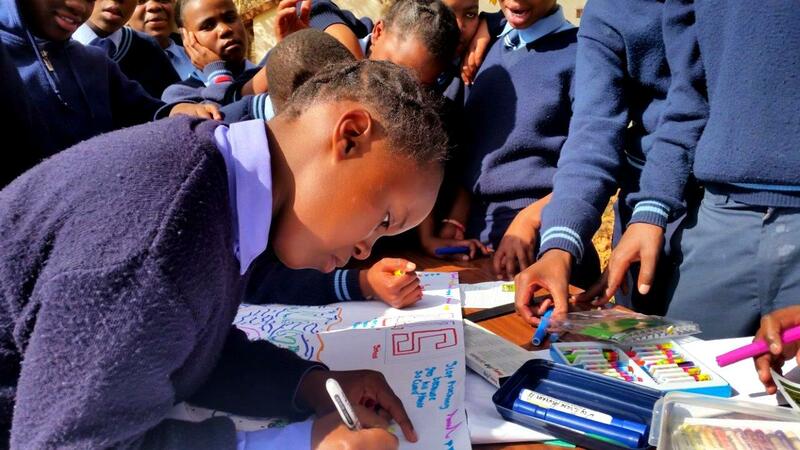 This enchanting tale reinforces the fact that healthy rivers mean healthy people, plants and animals, helping the learners understand the importance of our precious water resources. 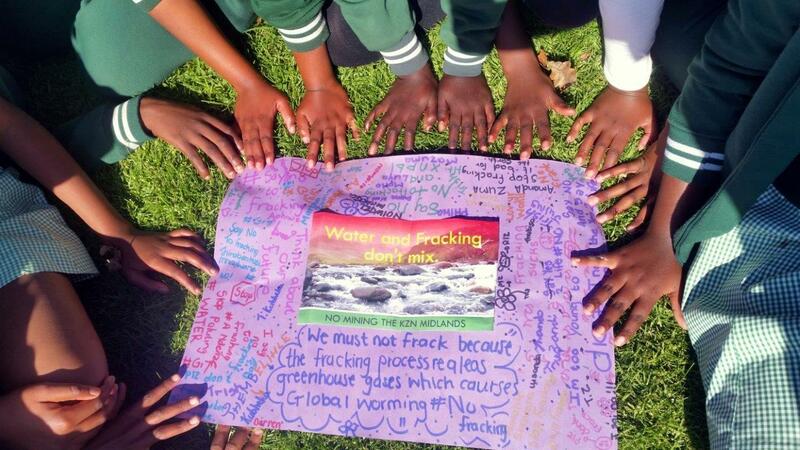 Corrie Lynn Primary enthusiastically taking part in our campaign to oppose fracking. Older learners watched a presentation about energy and how it is generated in South Africa. Many were aware of our current energy crisis and dependence of fossil fuels. The fracking process was explained before posing the question ‘Could fracking be the answer to our energy crisis?’ At first it looked like a good idea before the facilitator pointed out how much water could potentially be used in each well (6 and 25 million litres), how much sand would be needed (150,000 kg) and the array of chemicals that would be pumped into the wells to release the gas during the fracking process. Soon it was clear to everyone that contaminated water, soil erosion, potential threats to human health and destruction of sensitive environments were not a reasonable price to pay for this energy. Alternates that do less harm like solar and wind were explored. “All along, I have been made to believe the only solution to our energy crisis is fracking. I was not made aware of the environmental implications. A better solution, I think, will be solar energy.” Gregory Radebe, a teacher Bruntville Primary School, said with conviction. Bruntville Primary understands that fracking is not the answer to our energy crisis and explored other options such as solar and wind power. Discussion turned to ways citizens could make their voices heard – by lobbying politicians, signing petitions and demanding that our constitutional right to an environment not harmful to our health is upheld. 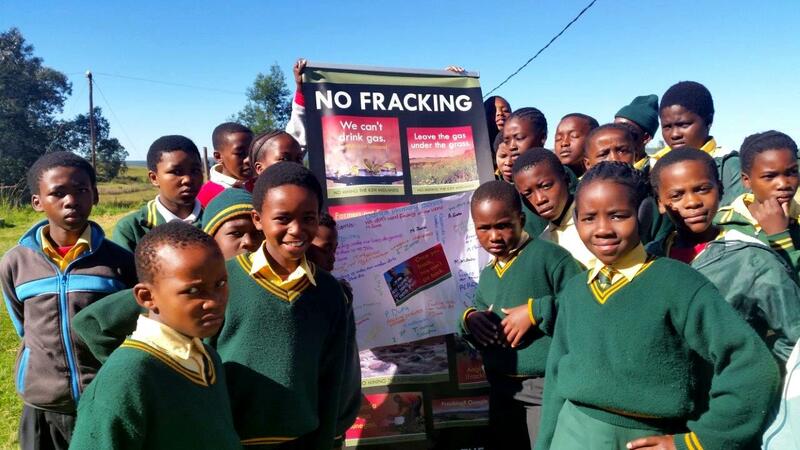 Khumbulani Khuzwayo in Grade 7 decided he would post the fracking awareness pamphlets (in English and isiZulu) at the bus stop so that more people would be informed about fracking. After the lively debate, everyone was encouraged sign a petition to voice their opinion against Fracking. 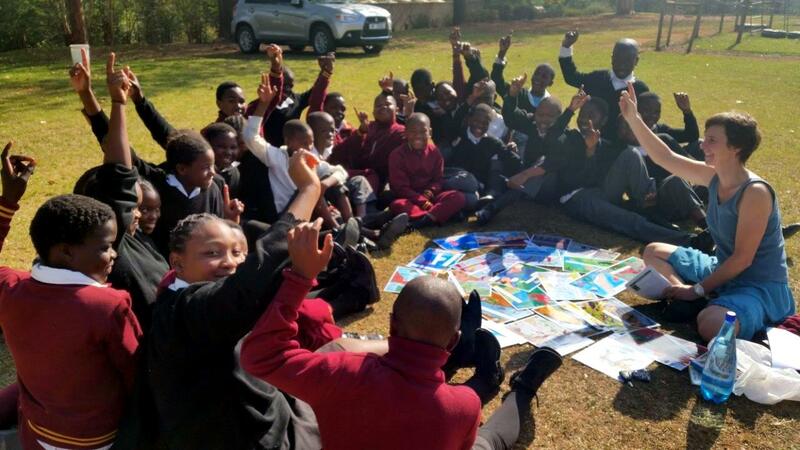 Finally, learners and teachers were introduced to the WESSA Water Explorers programme, a fun, inspiring web-based initiative that challenges them to look at how water affects our lives and to take practical actions to save water. As it supports the national curriculum and compliments the Eco-schools programme, teachers were very interested in participating. 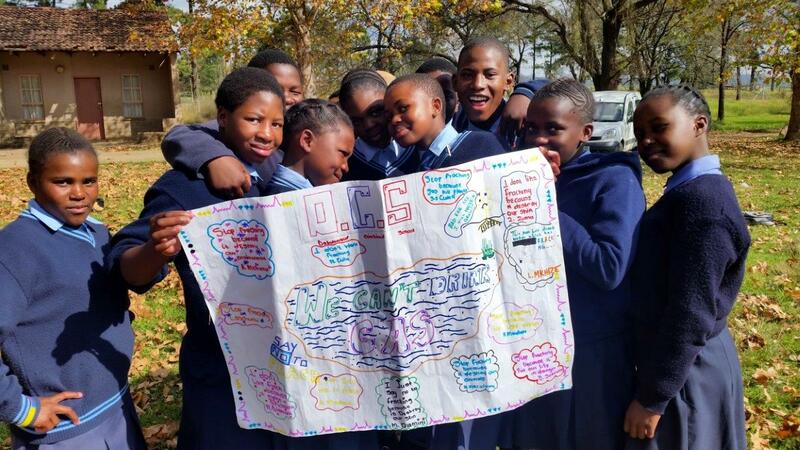 “Our Enviro Club is excited about the challenges and they use every chance they get to complete another one.” Antonia Mkhabela, Life Science teacher at Shea O’Connor School. This entry was posted in Conservancy Action, Environmental Issue, Environmental Learning, Sustainable Living and tagged environmental action, environmental education, fracking, go solar, river health on June 22, 2015 by Midlands Conservancies Forum.